25 July 2017 – On June 20th, TiFN celebrated its 20th anniversary with a barbecue party for its employees and former employees. Over sixty people raised their glasses on a beautiful past and a sunny future for TiFN! 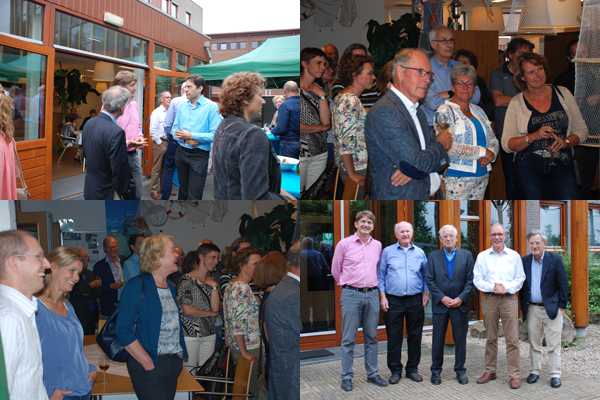 During the party, Ronald Visschers, the new director of TiFN, was introduced and had the occasion to meet all his predecessors. During the preparations, it appeared that the address information of some former employees was not up to date. As a result, unfortunately, not all former employees could be invited. In order to to avoid this in the future, a Linkedin group “TiFN Alumni” has been created. In this group announcements for meetings and internal developments will be shared. All (former) employees can join this group. To keep up to date on the developments within the projects of TiFN, you can sign up for InTouch, the TiFN newsletter.